It’s great to have software that solves traffic data management and analysis problems but it’s even better when the user receives quick, responsive client service. That describes MS2 according to Zendesk and an analysis of 107 client service ticket requests submitted between May and August 2016. The charts below come from Zendesk, a leading web-based client service solution and one of the main tools of MS2’s client support system. As soon as our clients submit a help or support ticket request, Zendesk starts recording MS2’s response time. According to Zendesk, the software industry average first reply time is 22.10 hours from the time of the ticket submission. 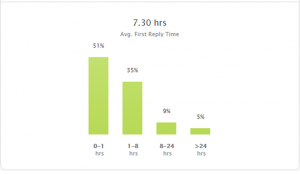 In the three month duration of this report, MS2 averaged just 7.30 hours to reply to our client’s requests. 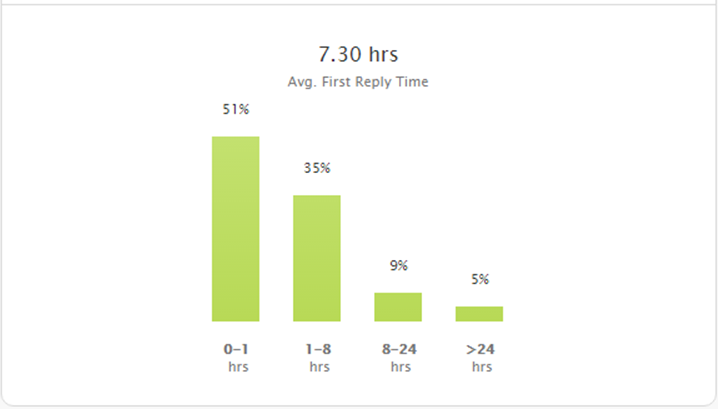 A deeper dive into MS2’s average first reply time data reveals that we reply to client needs 51% of the time in one hour or less! MS2 offers online Help Guides for all our software modules, personal email and telephone support, personal web meetings using the WebEx service, and the Zendesk help ticket service. Using all these client service methods, we take pride in serving our clients traffic data analysis needs well after the contract has been signed.